Following a period of democratic backsliding, President Edgar Lungu stands accused of seeking to extend further control over civil society and repressing critical discussion – even when it is not focussed on the question of his leadership. Church leaders in Zambia are used to playing a fairly high profile role in political discussions, especially where the budget is concerns. The Jesuit Centre for Theological Reflection is well known for conducting the “Rural Basket”, a quarterly survey that measures poverty and social service delivery in rural parts of Zambia. The Catholic Church also has a history of speaking out in favour of “pro-poor policies”, for example through the Catholic Commission for Justice and Peace. Clergymen in Ndola were therefore taken aback when a meeting to discuss the government’s proposed 2009 budget, which had been organized with the Centre for Trade Policy and Development, was disrupted by police on 19 October. Not only was the meeting abruptly ended, but Pastor George Palo, who had helped to put the event together, was detained. The meeting was held at the Ndola Central Baptist Church, but was attended by church leaders from different denominations, and so has been interpreted as an infringement on the rights of Christian groups more generally. According to Pastor Brian Chanda, the actions of the police were unjustified: “how are we as the clergy going to particular in national development. If we shun such meetings, we will be called names. Now we come so that we can contribute, the police arrest us and disrupt our meeting. Then what role should we play in the governance of the country? We are stakeholders”. However, despite considerable public criticism including from other religious leaders, the police were unrepentant. Speaking the day after the incident, Charity Katanga, the Copperbelt Police Commissioner, stated that five pastors and three officials from the Centre for Trade Policy and Development would be charged with the offence of unlawful assembly. The charges were justified, she claimed, on the basis that the meeting had been “political” and the group had not applied for a police permit. While it is common – though not necessarily democratic – for partisan political events to need police clearance, this has not been applied to discussions of national development. While the initial disruption of the meeting might have been a simple mistake – over eager police men and women jumping the gun in the context of a charged political atmosphere – the decision to charge the eight individuals is strong evidence that the harassment of the clergymen is in line with government policy, which is becoming increasingly intolerant of any form of dissent. Criticism of the budget is particularly sensitive for the government this year, as the state of the country’s economy remains highly controversial. On the one hand, the Patriotic Front ruling party has been accused by opposition leaders of contributing to an unsustainable debt burden through corruption and economic mismanagement. While the government would normally attempt to dismiss this as rhetoric, doing so has become considerably harder after four of the country’s most important international donors suspended their support of government projects when it was revealed that almost $5 million in donor contributions are missing. The funds, which were given to the departments of health, education and local government, were intended to provide assistance to 632,000 people. On the other hand, the stated priority of the Finance Minister with this budget – namely bringing expenditure under control and balancing the books – seem implausible given than one-third of the budget is scheduled to be raised from foreign funders. According to economist Trevor Simumba, this will “will lead to even more debt and fiscal deficits”. A growing consensus is emerging that the country’s economy is only likely to get back on track if a proposed rescue package with the IMF said to be worth $1.3 million can be agreed. But that seems further away than ever as a result of the government’s profligacy and economic mismanagement. In August, an IMF spokesperson told Reuters that: “There are no discussions on a possible Fund-supported programme given that the authorities’ borrowings plans compromise the country’s debt sustainability, and undermine its macroeconomic stability”. This backdrop helps to explain why President Lungu is so sensitive about criticism of the budget. As a result of the corruption accusations and the repeated failure of the government to secure IMF support, a debate over the budget is, in a very real sense, a debate about the quality of the president’s leadership. As a result, public criticism of the budget process threatens to undermine his ability to secure a third-term – a controversy that some have argued will trigger regime change – and win re-election in 2021. In this sense, Lungu is caught in a Catch 22 situation; he does not want to agree to the conditions laid out by the IMF because the reduction in government expenditure this would involve would undermine popular support for the his leadership. But by allowing the economy to die a slow death, he is driving voters into the arms of the opposition. While this may be good politics – and an important step in resisting the trend of autocratization – it is also dangerous for civil society. The more that those who speak out on issues such as the budget are seen as UPND sympathisers trying to bind the president’s hands, the worse the repression is likely to get. This entry was posted in Africa, Zambia and tagged Zambia on November 12, 2018 by Nic Cheeseman. After much speculation, Mozambique held local elections on October 10th, which were the fifth since 1994. These elections were important on several grounds. First, they took place under new legislation for electing local authorities. Second, it was the first time in 10 years that Renamo was going to compete in local elections, after boycotting the 2013 polls. Third, these elections presented a critical test to the country’s prospects for democratization and peacebuilding. They took place about one month after the signature of a memorandum of understanding on military issues between the incumbent President Filipe Nyusi and the acting leader of Renamo, Ossufo Momade. Therefore, there was some level of uncertainty on whether the formal consensus would endure as the campaign unfolded and after the results were announced. Overall, looking at the political leadership during this period can foreshadow what is to come a year from now, when the general election is expected to take place. On August 6th, President Filipe Nyusi addressed the nation to announce that the Mozambican government and Renamo had signed a memorandum of understanding on military issues. The long awaited memorandum represents an important milestone after several months of negotiations and the initial uncertainty on whether the death of Renamo’s leader (Afonso Dhlakama) would compromise the peace negotiations and whether acting leader Ossufo Momade would fulfil the compromises reached hitherto. The memorandum establishes the process of “integrating the officers from Renamo in the FADM and in the Republic of Mozambique Police (PRM)” and “the Renamo armed elements’ DDR process”, as well as clear mechanisms that allow the process to be monitored. More specifically, it creates a Joint Technical Group on DDR (JTGDDR) to ensure that “DDR activities are performed in a timely, effective and efficient manner”. The signing of the memorandum highlights the relevance of political leadership. President Filipe Nyusi’s willingness to concede on Renamo’s longtime demands, namely the decentralization package and the incorporation of the latter’s men into the country’s armed forces, was crucial for this outcome. Moreover, throughout the negotiation process, he presented himself as committed to attaining consensus and peace. His words at the announcement of the signature of the memorandum are a clear illustration of this: “we did this by believing that, with patience, tolerance, understanding, a spirit of reconciliation, and a singular dedication to results, Mozambicans can construct peace”. Ossufo Momade, on the other hand, strived to gain legitimacy as a peace negotiator and Renamo’s new “strong man”. Following a decision made by Renamo’s National Political Committee, he went on living in the Gorongosa (as Afonso Dhlakama did in the past), and he was expected to continue the peace negotiations from there. Still, he also alluded to the “good will between the parties” and to Renamo’s commitment to the disarmament process. However, the holding of local elections, which were the first ones in which Renamo participated in 10 years, relaunched new uncertainties on whether the party would still fulfil the memorandum. After the approval of new electoral legislation on July 19th, the competing political forces had only a few months to set up their lists of candidates for the October 10th local elections. Parties’ nominations for the country’s 53 municipalities were not consensual across all units. This was the case in the capital, Maputo. Here, Frelimo faced an important setback when Samora Machel Júnior, son of the first Mozambican president, Samora Machel, defected the party to run as an independent mayoral candidate against the party’s endorsed candidate, Eneas Comiche. Renamo, on the other hand, saw its first choice, Venâncio Mondlane, excluded by the National Elections Commission (CNE) and had to replace him with Hermínio Morais. The electoral campaign period had a few episodes of clashes between the opposing parties, and Renamo’s supporters claimed they were victims of intimidation and assault. Voting day was generally calm, although there were some procedural incidents. Overall, the results brought no significant changes: Frelimo elected mayors (the head of the list of the party with the most votes) in 44 municipalities, while Renamo elected 8 and MDM 1. The results were not accepted by Ossufo Momade, who promised to contest the results. Following a strategy that was often used by the former leader of Renamo Afonso Dhlakama, he stated “We do not want war but we also do not accept any attempt to change the popular will”; moreover he threatened to walk out of talks if the electoral bodies failed to recognize that the local elections had been fraudulent. So far the appeals submitted by the Renamo (and the MDM) against the election results have been rejected by the courts. President Filipe Nyusi has been facing critical tests since he was elected to office in 2014; however, the unfolding of the peace talks with Renamo and his party’s win in the local elections, reinforce his legitimacy and strength as leader. On Renamo’s side, the new leadership has a chance to refashion and strengthen the party if it is to continue to improve electorally. However, there are important challenges ahead. The implementation of the DDR process as delineated in the memorandum remains haunted by uncertainty, and Renamo’s leadership has already threatened to abandon the negotiations, as the party considers the recent local elections illegitimate. Furthermore, the economy is still volatile, and there are new emerging security threats in the country’s northern provinces that have been linked to Islamic terrorism, illegal mining activity, and social inequality, which need to be addressed by the presidency. 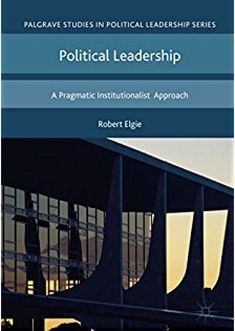 How both parties’ leaderships deal with the challenges they face and keep the peace process on track will be the keys to their success in the upcoming 2019 election. This entry was posted in Africa, Mozambique and tagged Democratization, elections, Mozambique, Peace talks on October 31, 2018 by Edalina Sanches. It took fifteen days, but on October 22 the Constitutional Council of Cameroon finally declared incumbent Paul Biya the victor of the presidential election with 71% of the vote. Maurice Kamto took second place (14%), while Cabral Libii came in third (6%) and Joshua Osih a surprising fourth (3%). 85-year-old Biya will start yet another seven-year term and mark his 36th year in office. He is the oldest president in Africa, and the second longest ruling chief executive in the world, eclipsed only by Equatorial Guinea’s Teodoro Obiang (who congratulated Biya on his victory before the results were announced). For many in the Cameroonian opposition, the election was a sham. Turnout in conflict areas was abysmally low at 5% to 10%. This reinforced a sense of malaise and decline that threatens to further destabilize the country. While there were no surprises, the election was not without some drama. Supposed preliminary results were leaked on social media, and Kamto and Libii stirred controversy when they both claimed victory without any real evidence. Cameroonian national television reported that Transparency International had given the election high marks. This turned out to be a “ghost” observer, and the Cameroonian government never clarified the issue. Opposition parties filed 18 complaints with the newly formed Constitutional Council. But, since petitions had to be filed within 72 hours of the poll and without any official results, they were all unsurprisingly rejected. The government then banned Kamtoand Cabril from holding press conferences, and imposed a lockdown in major urban areas in anticipation of public demonstrations. This election is a good moment to take a step back and assess what has sustained the Cameroonian regime for so long, despite the utter disillusionment of large swaths of its citizens with the current political reality. The election also revealed some new information about the regime and its opponents, which will reshape political dynamics for the next coming years, especially as the Biya era reaches its ultimate end. What all this means for the future of Cameroon, and especially the brutal conflict in English-speaking areas is unclear, but observers should not conflate the persistence of the Biya era with some sense of political stability. Indeed, if I were to try and read the tealeaves, both the regime and opposition have some critical decisions ahead of them that could spiral Cameroon into even more serious crisis. Biya’s slogan this election, which had a very different connotation in its English translation, La Force de L’Expérience, is actually quite apt. Over three decades of rule, the Biya regime has learned to manage a fractious ruling coalition, to counter political opposition, and skirt large-scale international scrutiny. I think of Cameroon as emblematic of electoral authoritarianism, propped up by the centralized power of the president, the range of patronage positions available to the regime, and a fairly powerful security apparatus. President Biya’s stronghold is in the South, but he has been able to retain the support of key political elites who otherwise would be his rivals, in particular in northern areas. Without term limits, and with Biya as the coalition kingmaker, there have been few incentives for individuals to challenge him from within. Moreover, those who have done so in the past have found themselves tangled up with law enforcement. I predicted that as long as Biya maintained a sufficiently wide elite coalition, the numbers were just not there for the opposition to win. Over the past decade Cameroon has also become a much more restrictive place. Presidentially appointed governors and senior district officers (SDOs) use their authority to limit political organization by denying permits for the sake of public order. They have also been able to declare states of emergency and impose curfews on large territories. Since a poorly written anti-terror law passed in 2014, security forces have launched raids and charged individuals in opaque military tribunals. Public demonstrations are often violently dispersed, and dozens of participants randomly arrested and held for lengthy administrative detention.The senior leadership of opposition parties has been arrested, and media outlets are censored for dissemination of false information and slander. International actors have also played an instrumental role here too. Since the transition to multipartyism, Biya has been able to depend on French fiscal and rhetorical support. Likewise, the French have used their influence with multilateral lenders, who have continued to lend money to Cameroon despite severe fiscal mismanagement and a bloated state sector. Since 2001, the United States has also sought Cameroon’s support on key issues in international forums, and now has 300 soldiers and a drone base in the north. American support for democracy and governance has been tepid, this election included. The lack of international pressure has shielded Cameroon, and importantly has allowed the regime to keep significant fiscal and coercive tools in its toolkit. While Biya’s victory seemed written in stone before the election even took place, there are some novel developments worth noting. First, the creation of the Constitutional Council in March 2018 created yet another layer of democratic window dressing. There were plans to create this commission since the constitution was revised in 1996, and the timing of its creation this year is not coincidental. The president appoints all of the council’s eleven members for a six-year and non-renewable term, and the council is the final arbiter of all presidential election related disputes. The government has just announced plans to build a $475,000 mansionfor the commission chair Clement Atangana. The legal pleas and demonstrations at the Constitutional Council made for some riveting news coverage, but also trapped opposition parties into a quasi-legal process that shielded the regime. Unlike the role of courts in other disputed elections as in Kenya, the Constitutional Council in Cameroon is much less independent. The fact that petitions had to be filed before there were any results meant that opposition parties had very little chance of gaining any actual legal ground. Instead, they were forced to participate in a process that gave the regime the façade of proceduralism. While the opposition received a platform to articulate their grievances, it also neutered some of the rhetorical leverage they sought. If the opposition had broken with the process, they would have been accused of being anti-democratic. But, by participating they angered some of their own supporters who demanded a more radical reaction. This relates to broader divisions within the opposition that were exposed this election. There was a concerted effort in Anglophone areas to boycott the election, which contributed to the low turnout rates. But, Cameroon’s history of boycotts in 1992 and 1997 has been counterproductive. In the past shunning sham electoral processes only isolated the opposition, and did little to garner wider international focus. In a sense, one of the most pernicious aspects of electoral authoritarian regimes like Cameroon is that it traps opposition parties into participating in quasi-democratic processes despite their substantial flaws. This has widened the gap between the political aspects of the current opposition and it societal base, which appears to be much more committed to a more radical and starker opposition. New alignments among the opposition were also revealed (see Table 1). Joshua Osih, who was at one point seen as the key opposition figure, performed surprisingly poorly outside of the SDF’s strongholds in North West and South West. But, votes from North West and South West were inconsequential given the atrocious turnout levels. By contrast, Kamto won Littoral region and took 30% of the vote in West Region (his home area). Kamto might have enjoyed a slight bump when Akere Muna dropped out at the last minute and endorsed him. Osih also did not capture the youth vote, which went to Cabral Libii instead. At 38 years old, Libii was the youngest of the candidates, and was referred to as a Cameroonian Emmanuel Macron. Libii is from Francophone Cameroon, and took advantage of a savvy social media campaign to reach a large number of youth voters. A final noteworthy change this year was the inclusion of a diaspora vote in the presidential election. Cameroonian citizens living abroad could vote at their consulates and embassies, and votes were tallied by region (see Table 2). Notably, the ruling CPDM party has made some significant efforts over the past decade at bolstering its branches abroad, in particular in Washington DC and Paris. However, by the same token diaspora communities have organized real political opposition. There are substantial Anglophone communities who reside in Washington DC and Nigeria. Registration rates were quite low in Asia and the Americas, but approximately 14,000 Cameroonians registered from other African countries. According to these results, diaspora voters in Africa are evenly split between Biya and the opposition. What this Means for the Future of Cameroon? Reelecting Biya was an endorsement of the status quo, and provides the regime with some more lead time to figure out solutions for the major issues it faces. First and foremost, does Biya’s continued rein increase or decrease the odds of resolving the Anglophone crisis? Biya’s response so far has been to offer symbolic reconciliation while simultaneously cracking down on the opposition. This has led to mutual escalation that is difficult for any side to back down from. There is a ripe moment here for Biya to take advantage of his new term and launch an internationally supported process that would bring reasonable voices to the negotiating table. However, it is also difficult to imagine serious negotiation that would end with a settlement acceptable to all parties. As noted above, there is acute disagreement in the Anglophone opposition over whether to even participate in the available channels of politics. Likewise, many of the more moderate voices in civil society have been pushed to accept federalism as a starting point for negotiations. On the other hand, Biya might feel more secure now, and feel like he does not have to negotiate from a position of weakness. A possible, and perhaps more likely outcome, is that both sides will continue to dig their heels in. This would mean a prolonged crisis that further escalates an already devastating situation. The election also has consequences for the 2019 parliamentary election. Legislative contests are often much more localized, which means that opposition parties have to be able and actually nominate candidates. While Osih only came in 4thplace, the SDF is still the primary opposition party. Both Kamto and Libii do not have robust political organization behind them that can run candidates in multiple districts. Other parties like the UPC and NUDP have largely been coopted by the regime. Issues of participation will persist in this election, especially in Anglophone areas, as will questions of opposition coordination. Only a concerted effort by the major opposition players stands a chance at chipping away at the CPDM’s overwhelming legislative majority. Finally, another Biya term delays what is perhaps the greatest challenge for the regime – what comes after Biya? It is not impossible that he will run again at age 93 (see Robert Mugabe), but there is a strong likelihood that Biya will either not end his term or will not run again in 2025. In fact, there were rumors prior to this election that Biya would make a dramatic last-minute announcement and step down from power in favor of an appointed successor. The logic was that the timing would preclude any opposition from within, and make the successor an established fact that no one could contest. Biya has seven years to design an exit strategy, but the problem is that there is no agreed upon process for choosing a successor. The CPDM has never held a credible presidential primary, and given the multi-ethnic and coalitional nature of the regime, many groups feel that it is their turn to helm the ship of state. This is true in the cabinet and in the military and security services as well, where there is fairly strong inter-unit rivalry and jealously. Many incumbents also fear legal retribution if the ruling coalition is reoriented in a new direction. The stakes are very high, which is why the status quo served the regime so well in the past. But, the clock is running out and absent some credible process or system of guarantees, the question of succession in the next few years has the real potential to devolve into conflict. This entry was posted in Cameroon and tagged Presidential Election 2018 on October 30, 2018 by Yonatan Morse. Gabon held legislative and local elections on October 6, two years after the contested presidential poll of August 2016 that resulted in widespread violence. Results from the first round of the legislative elections were announced on October 13; results for the local polls, held in one round, are yet to be published. The ruling Gabonese Democratic Party (PDG) has already managed to secure an absolute majority in the legislature, it appears. Opposition leader Jean Ping, who still claims he won the presidency two years ago, called for a boycott of the elections, while other opposition parties decided to participate. Recent changes to the electoral code could have justified greater optimism with regards to the opposition’s chances, compared to the 2011 elections where the opposition only won two seats. In accordance with the new electoral system adopted following a political dialogue process in 2017, legislative polls are now held in two rounds in single-member districts, in contrast to the previously applied multi-member majoritarian vote in one round. The number of seats has been increased from 120 to 143, but their distribution is highly skewed, as demonstrated by a close analysis of the distribution of the country’s 1.8 million population across the 143 constituencies. In the interior of the country, in provinces known to support the PDG, a deputy in the National Assembly represents a few thousand citizens or less, while in the capital Libreville and the economic center of Port-Gentil, one elected representative represents more than 58,000 and 34,000 citizens, respectively. The distribution of seats thus favors sparsely populated rural areas that have tended to support the ruling party, while the major urban areas where opposition to President Ali Bongo is concentrated are underrepresented. A summary analysis of the results published by the Gabonese Center for Elections (CGE) indicates that the PDG won 74 seats in the first round, while opposition parties followed far behind with only four seats, and independents won two. The three former opposition parties that decided to join Ali Bongo’s unity government following the 2017 political dialogue – the Social Democratic Party (PSD), the New Democracy (DN) and the Party for Development and Solidarity (PDS) – were particularly hard hit, winning only 1 seat among them. That seat went to the PSD in the province of Ogooué-Ivindo which is otherwise a PDG stronghold. The runoff for all remaining seats is scheduled for October 27. The gamble by opposition leaders who disassociated themselves from Ping and decided to participate in the elections may not have paid off directly. Former president of the National Assembly Guy Nzouba-Ndama, leader of the recently formed Democrats (Les Democrates – LD) party was eliminated in the first round by a PDG candidate; his party managed to win three seats in the first round of polling. Alexandre Barro Chambrier, leader of the Rassemblement Heritage et Modernite (RHM), heads to the second round, also running against a PDG candidate. His party won one seat in the first round, in the Moyen-Ogooué province. In a particularly surprising development according to CGE results, the Ogooué-Maritime province where Port-Gentil is located has swung from voting for the opposition in the 2016 presidential election to giving the PDG eight out of 13 seats in the first round. Remains to be seen if opposition parties can coalesce and effectively mobilize voters behind the remaining opposition candidates in the runoff races – assuming the competition is fair. Some opposition candidates alleged voting irregularities in the first round, and there have been fraud accusations – including between the PDG and one of its allied parties, the Center of Liberal Reformers (CLR). There are close to 30 races where an opposition candidate is on the second round ballot – from the LD, RHM and other parties – which creates an opening for a more representative legislature. It is striking to note, however, that in some opposition strongholds turnout was reportedly significantly lower than in provinces in the interior of the country, notably those that have traditionally been PDG strongholds. Thus while the average turnout in the first round was 58.6% nationally, in the Estuaire province where Libreville is located, only 28.5% of voters turned out to vote. Get-out-the-vote efforts should be a priority for candidates proceeding to the second round. In a country like Gabon with a small electorate, it is particularly true that every vote counts. This entry was posted in Africa, Gabon and tagged Legislative elections, runoff on October 15, 2018 by Sophia Moestrup.